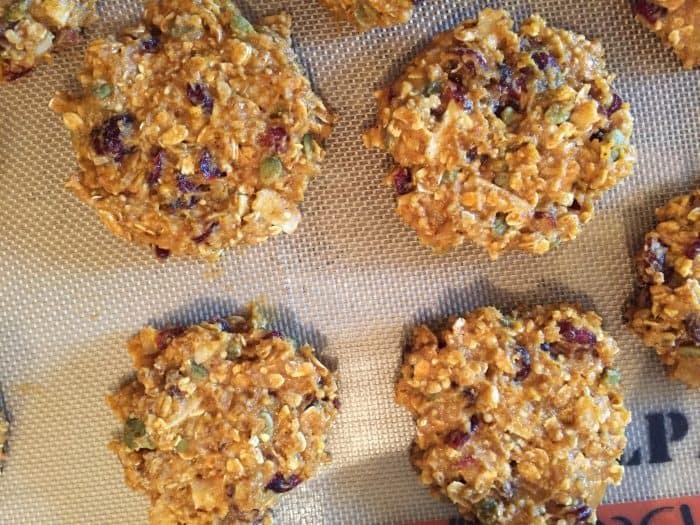 Healthy Pumpkin Spice Cookies? YES! 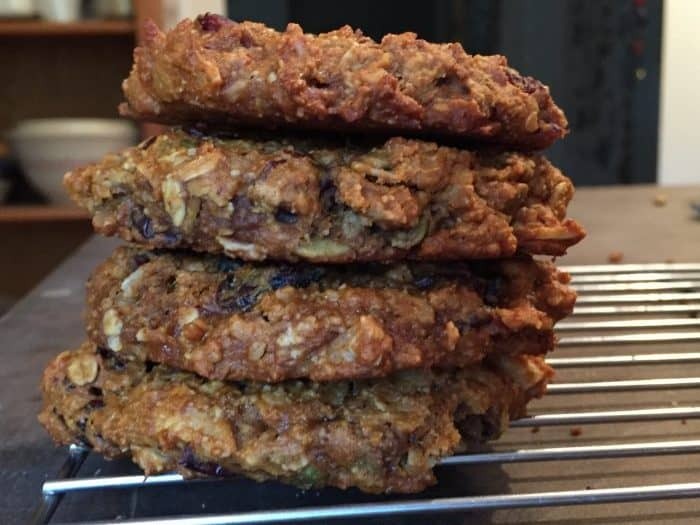 I love experimenting in the kitchen with lower (or no) sugar, gluten free treats. I also love Pumpkin Spice ANYTHING. 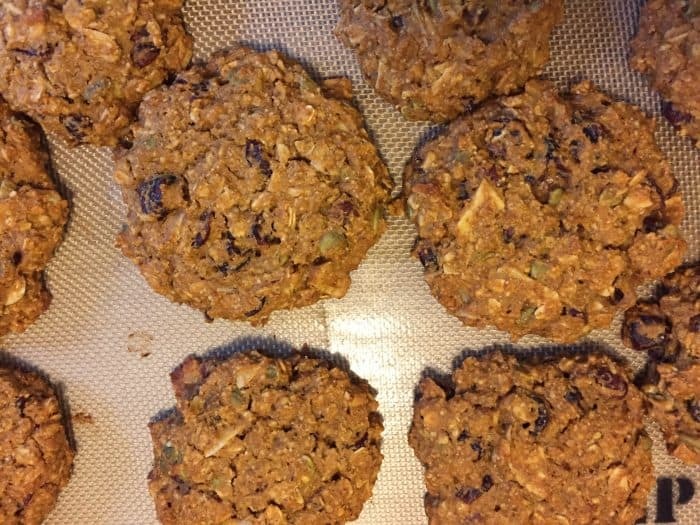 The results of my experimenting lead me to this recipe for Healthy Pumpkin Spice Cookies. The awesome thing about this recipe is that it’s easy to customize to whatever you have on hand/are craving/love to eat. As a result, they can be different cookies each and every time. Preheat oven to 350. Line a cookie sheet with parchment or silicone baking mat like this. Mix all the ingredients together and spoon in large scoops to cookie sheet. You do need to get them in the general size and shape you want them to be in, as they’ll pretty much stay the same. (The above recipe made 12 BIG cookies.) Below you can see the pre-baked cookies and the baked version to see that there’s not much of a change. Bake 10-15 minutes, depending on the size you made the cookies. Cool for a few minutes before removing them from cookie sheet to a wire rack. (I like them warm from oven (although they are a bit more crumbly) but I like them best cold from fridge). 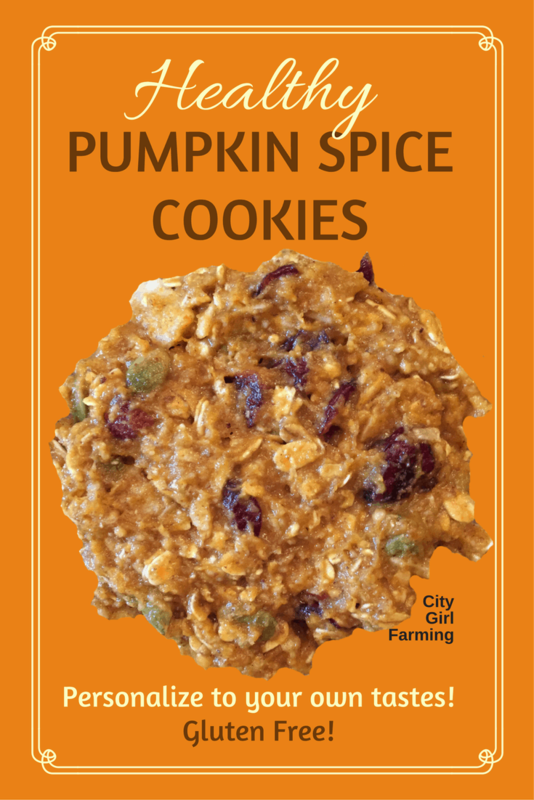 I love to eat them with (wait for it) a steaming hot mug of Pumpkin Spice TEA! Of course! These cookies freeze well. I mean, if you don’t gobble them up quickly. This post may contain affiliate links. This simply means that if you click on the link and make a purchase, you’re helping to support this blog as I will get a few cents from the purchase. HOWEVER, please know that this will NOT cost you a single penny more (and sometimes, with some affiliations, you will actually SAVE money). Thanks for your support.